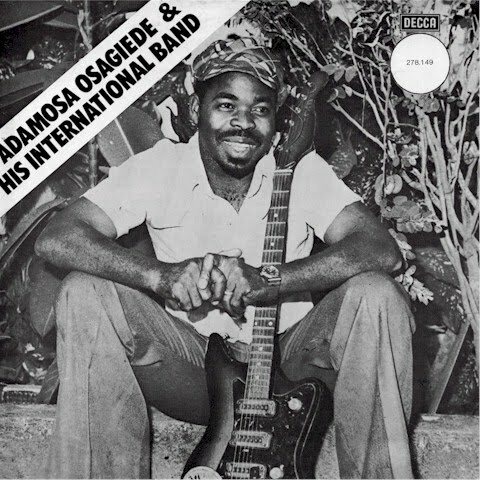 Those listening to the album Muungwana (CBS ACP-CBS 1203), by Kenya's Sylvester Odhiambo & the Ambira Boys, may be reminded of the 1973 smash "Lunch Time" and other hit records by Gabriel Omolo & his Apollo Komesha. That's not surprising, as according to the liner notes Mr. Odhiambo sang on many of those recordings. 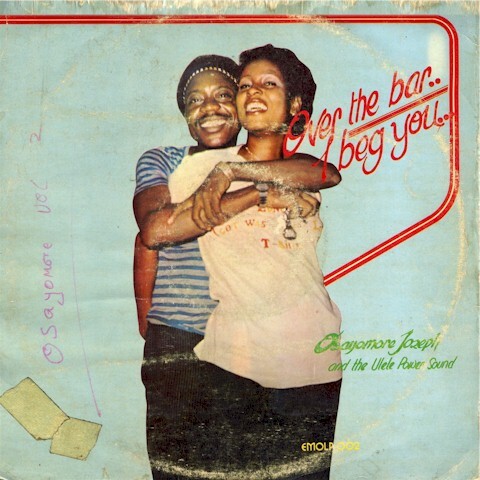 I have no idea what Mr. Odhiambo is singing about here (no doubt in keeping with Kenyan fashion the lyrics are pithy and ironic), but Muungwana is an infectious example of mid-'80s Swahili benga - propulsive, fast-moving, the synthesizer giving the music a sophisticated "disco" sheen. Enjoy! Download Muungwana as a zipped file here. 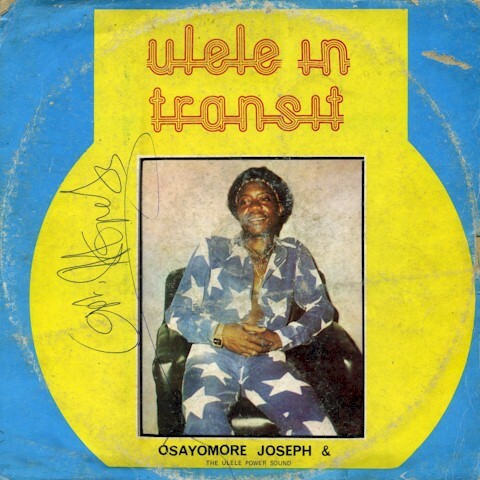 "Lunch Time" and other recordings by Gabriel Omolo & the Apollo Komesha, featuring Sylvester Odhiambo on vocals, may be found on the compilation Kenya Dance Mania (Sterns/Earthworks STEW 24CD), and I posted the flip side of "Lunch Time" here. Back in Eighth Grade, my Social Studies class was given one of those typical assignments where we were supposed to pick out some country and write a report about it. Most of the kids picked well-known countries (I chose Austria), but one young lady, Susan Norman, chose the West African nation of Dahomey. 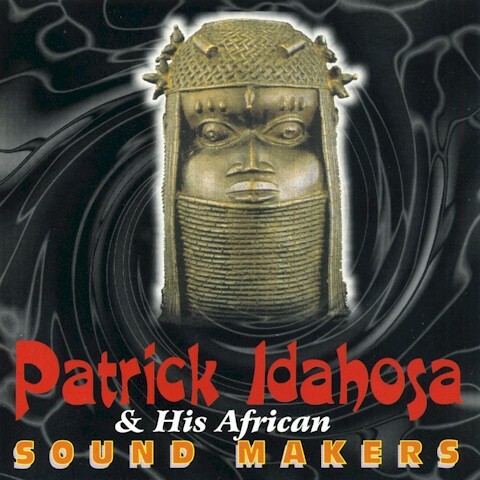 "Dahomey? Are you kidding?" our teacher Mr. Vezie sneered, no doubt thinking that Susan chose this obscure country to get out of doing a lot of work on the project, but she was adamant. What does this have to do with the subject of today's post? Well, nothing, really, except that in 1975 the Republic of Dahomey changed its name to the Republic of Benin, after the Bight of Benin, which in turn was named after the Benin Empire, a powerful entity that existed from 1440 to 1897 in what is today Nigeria. 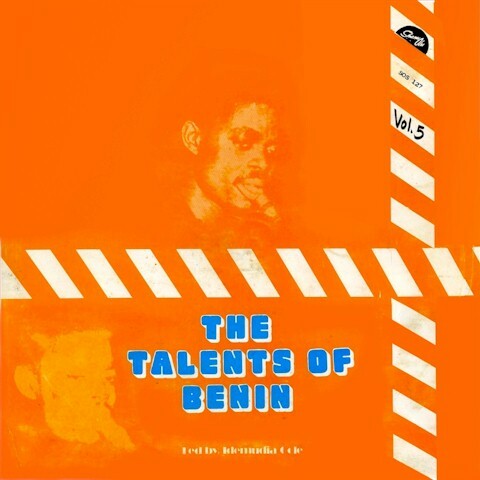 "Benin" is a Portuguese corruption of "Ubinu," the administrative center of the Empire, which is today called Benin City, capital of Edo State. Dahomey's rechristening in 1975 has caused no end of confusion ever since, so to clarify things: Benin City (& hence the historical Benin Empire) is approximately 250 miles east of Porto Novo, capital of the present-day Republic of Benin. The two entities have no historical connection! The map at right shows the sphere of influence of the Benin Empire at the height of its power. To further muddy the waters there was once another "Republic of Benin," which was established by retreating Biafran troops in the early days of the Nigerian civil war (see map below, from John de St. Jorre's Nigerian Civil War, Hodder & Stoughton, 1972, click to enlarge). This historical curiosity was proclaimed at 7 a.m. on September 20, 1967 and collapsed eight hours later! The Benin Empire encompassed Ijaws, Igbos, Itsekitris and Urhobos, among other groups, but the Edo people constituted the core of the nation. Even today they are celebrated for their artwork, a sample of which is at the top of this post. Much of this was destroyed when Benin City was captured by the British in 1897, and much of the remainder was dispersed around the world. Today Benin City is renowned as a center of education and culture in Nigeria. 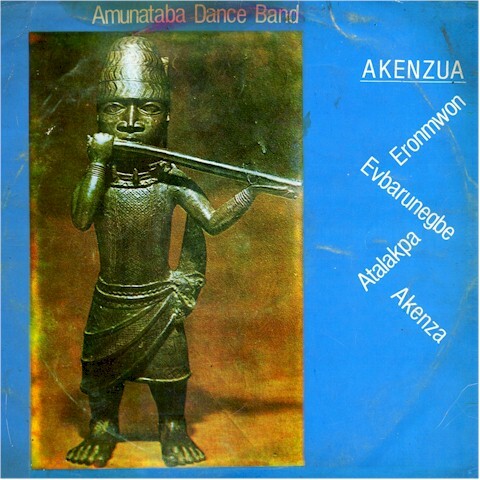 The Amunataba Dance Band are similarly obscure to me, but what a fine album Akenzua (Mikii MAK 504, 1978) is! Sweet guitar highlife in the Peacocks mode, and isn't the front cover great? Thanks to Roskow Kretschmann of Black Pearl Records for passing on a unique historical recording, the LP Somalia Sings Songs of the New Era (Radio Mogadishu SBSLP-100) issued in 1972 in the first flush of Somalia's "Scientific Socialist Revolution." Mohammad Siad Barre (right) came to power in Somalia on October 21, 1969 as the result of a coup d'etat following the assassination of Abdirachid Ali Shermarke, Somalia's second president. The governing Somali Revolutionary Council undertook a number of arguably progressive tasks such as standardizing the Somali language and making efforts to lessen the role of clans in Somali society. Close ties with the Soviet Union, the adoption of "Marxism-Leninism" as the ruling ideology and the development of a Stalinoid "personality cult" around Siad Barre obscured what was basically an old-fashioned military dictatorship with grievous violations of human rights and mounting popular opposition from the mid-1970s on. Following Somalia's defeat by Ethiopian and Cuban troops during the Ogaden War of 1977-78, Somalia broke with the Eastern bloc and aligned itself with the United States. Subsequently the banner of "Scientific Socialism" in the Horn of Africa would be borne by Ethiopia under Mengistu Haile Mariam's Dergue. Opposition to Siad Barre's regime had reached a fever pitch by the late 1980s and he was overthrown by Mohammad Farah Aidid's United Somali Congress on January 26, 1991. The resulting chaos in Somalia is well-known, with various armed groups jockeying for power in the years since. Siad Barre died in Lagos on January 2, 1995.
. . . As you've already noticed, the tracks on the album are mainly contemptible praise songs for Siad Barre's ego. The lyrics are very poetic but, the anti-apartheid song and parts of "Gobanimo" and "Soomaalida Maanta" excepted, they are further devoid of any praiseworthy substance. So, I won't dwell long on their content. Instead, I'll try to shed some light on the context. Since time immemorial, poetry has been the primary means of mass communication and cultural expression in Somali society. It's highly valued and has a tremendous impact on all walks of life. So much so that, according to an Amnesty International report dating from early 90's, poetry (and not the warlords) was the foremost weapon that tumbled the Somali military regime from it's high and haughty throne! Siad Barre and his Jaalleyaal (comrades) understood the power of that tool all too well and tried to exploit it to promote their cause. They had initially a progressive agenda and rhetoric based on justice, socio-economic development, equal opportunities for all, protection and promotion of women's and minorities' rights etc. The political discourse was pregnant with noble promises and the expectations were high. Gutted by the corruption and nepotism rampant during the preceding civilian governments, many Somalis were enthusiastic about the new 'revolutionary course' and many artists lauded Siad Barre's initial goodwill and positive intentions. Unfortunately, it didn't take long before oppression, fear and mutual distrust were all the midwife could announce to the parturient crowds. The artists on this series were all members of Waaberi, the house-band of the Ministry of Information and National Guidance. The name says it all: Propaganda and indoctrination! It was a large troupe with hundreds of members embracing dramaturgy, folklore dance and music. It seems the ones on this album were carefully selected to rally support for the military regime. They were among the most popular in that period and, equally or maybe even more important, they came from practically all regions and clans. Their incipient stance in favour of the military regime, as depicted in these songs, may be genuine, fake, forced ... or all three at the same time, as dictatorial schizo-paranoia has its unfathomable ways. However, poet and playwright Sangub (composer of "Soomalida Maanta" & "Midab Gumeysi Diida") is to my knowledge the only one in this bunch who never disavowed Siad Barre's atrocities. That's why he's strongly despised across the board, notwithstanding his impressive and diverse body of literary work. The other protagonists in this album spoke their mind in subsequent songs and were, along with many others, arrested and/or exiled. For instance, Abdi Muhumud Amin (composer of "Aynaanka Hay" & "Ha Iilan") was a prolific songwriter and a highly respected poet-playwright. A teenage member of the anti-colonial Somali Youth League (SYL) in the 40's and 50's, he composed many patriotic songs geared towards fighting against colonialism. Disenchanted with the post-independence civilian authorities, dominated by depraved SYL stalwarts, he soon switched into instigating the masses to rise up against the homegrown neo-colonialists. When the Armed Forces toppled the civilians in 1969, he sided with them and composed revolutionary songs. Only to realize within a few years that Siad Barre's regime was as nefarious as the ones it replaced and his criticism was ubiquitous and fierce. 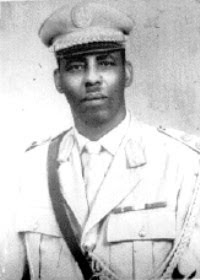 He later joined the Somali Salvation Democratic Front (SSDF), the first armed opposition to Siad Barre's reign. Given his courageous and hapless track record, It's no wonder that Abdi was repeatedly imprisoned by the successive colonial, civilian and military administrations in Somalia. He died in 2008 in exile in Kenya where his funeral was attended by thousands of mourners, friends and foes alike.
. . . Oh, my land! Why am I roaming about in foreign countries? Why am I obliged to beg and hold my hands up for strangers? Why did I choose to live like a damned stateless person? Why is it in my interest to opt for the status of a cursed refugee? To save my life . 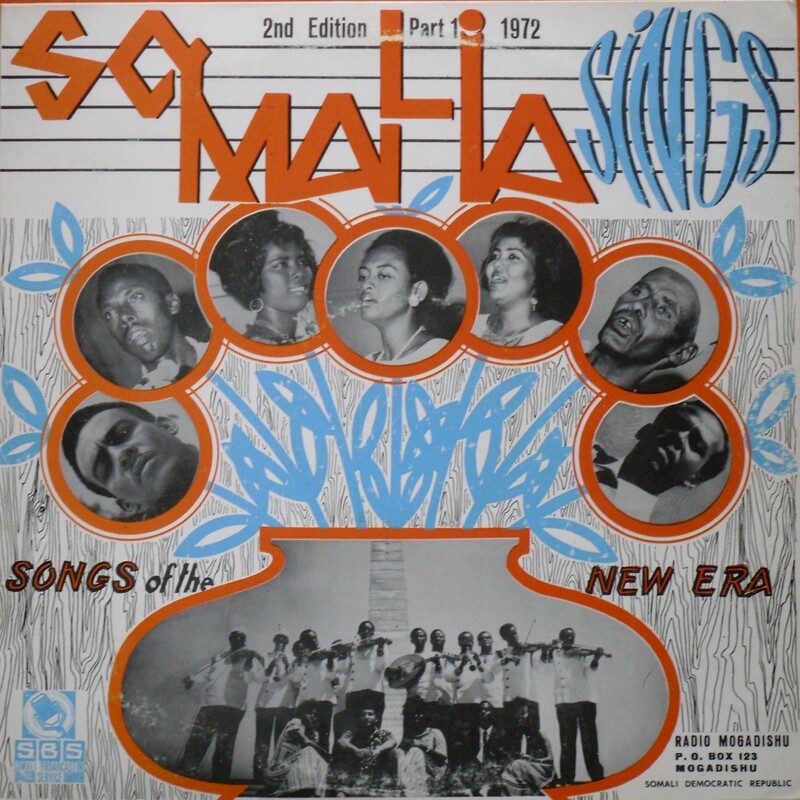 . .
Download Somalia Sings Songs of the New Era, complete with cover & liner notes, here.